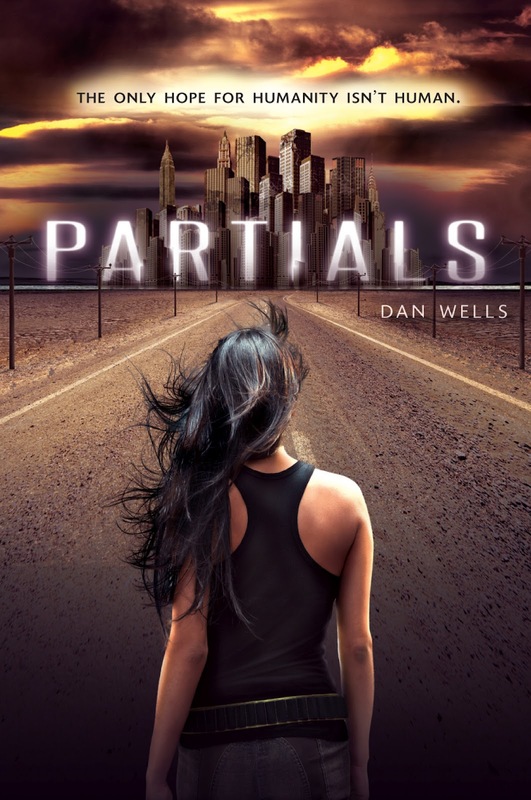 I have mixed emotions about Partials by Dan Wells. I've met Dan a few times and I've wanted to read some of his writing, but I've been too scared (I admit it) to read his serial killer books. So I was excited to hear that he wrote a YA dystopian. 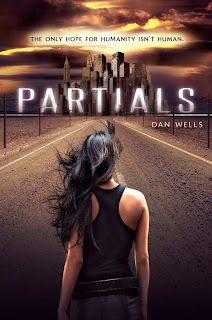 I had a hard time getting into Partials, but I do recommend it as a good read. I'm a romance reader, and I kept waiting for the tension to increase, and so I was disappointed. I would like to have seen some more angst going on with the characters. I have read reviews from others who say they like the book for that very reason, that they are tired of simpering teens caught in love triangles. Still...show me the love. The idea of two factions needing each other to survive is very interesting. I enjoyed learning about the medical issues and wondering how it would work out. Written from a young woman's perspective, I wanted a lot more emotion. I'm not talking about weeping or crying. I'm talking more internal dialogue. I wanted to know what she's feeling, to feel the issues along with her. It lacked that for me and I kept thinking about how this was written by Wells, who is (obviously) male. I like how Wells keeps putting the characters into more and more danger, taking away every opportunity that he can so that they have to go to plan B or C. This increased the jeopardy for me and I never knew what was going to happen. Because Wells keeps throwing stones at his characters, it reminds me that I am supposed to make my characters feel pain. That is what makes a great story. I am all too often nice to my characters. I am paying attention to endings of books right now as I try to find the right ending for my own work in progress. I think Wells did a fine job with a climax, a short bit of falling action to show what happened afterward (just the right amount), and then an introduction to the new story problem that will be faced in book two. Partials is a clean read; action packed, and original.